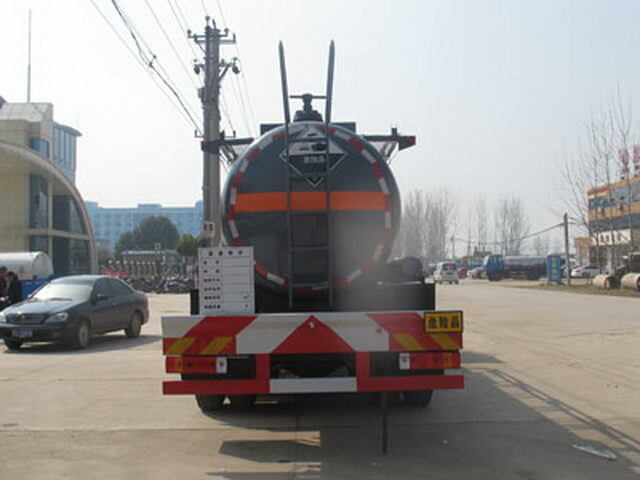 Transport medium name:sulphuric acid,Hydrogen acid;Medium density: 1145Kg/Cubic metre, 1135Kg/Cubic metre; Item No. 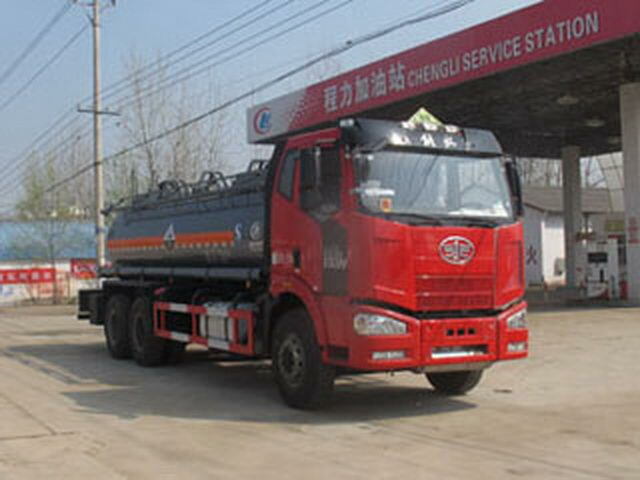 : 8; Effective volume of tank11.2Cubic metre; The commander(mm): 10290, Corresponding base (mm): 4800+1350, Corresponding tank size (Length * diameter) (mm): 7200* Phi1550 (Straight line segment length6700). The commander(mm): 9790, Corresponding base (mm): 4300+1350, Corresponding tank size (Length * diameter) (mm): 6700* Phi1600(Straight line segment length 6200). 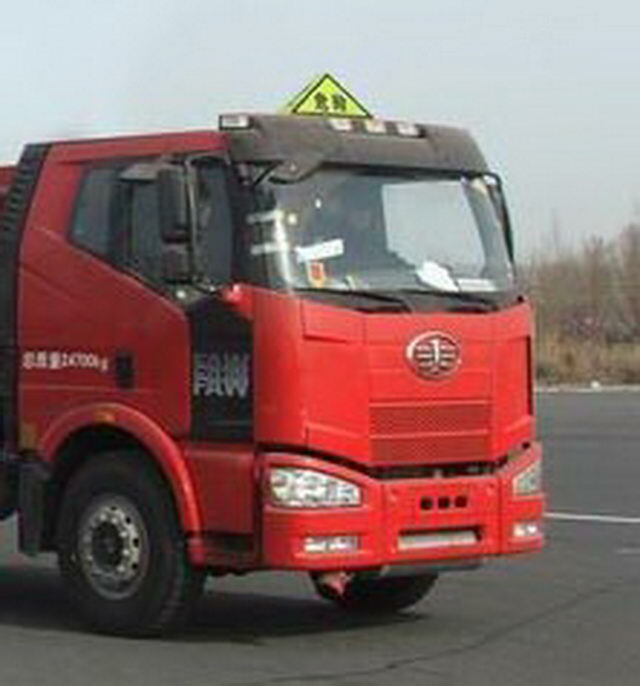 With the optional chassis cab, Protective material:Q235Acarbon steel,Connection mode:The left and right sides and the rear lower part are protected by welding connection, Rear section size(mm): 100*50, Rear protection height (mm):510. 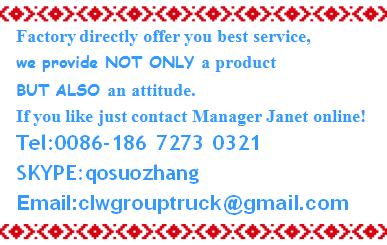 Only use chassis radial tires and beltsABSChassis.,Vehicle traveling data recorder with satellite positioning function,UseBF6M1013-28E4, BF6M1013-24E4, BF6M1013-26E4Engine, Fuel consumption value is (L/100km): 37.5,37.5,37.5. 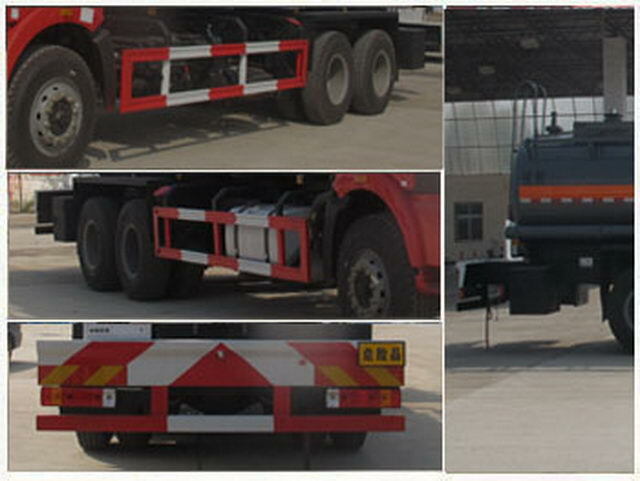 ABSSystem manufacturer1: Zhejiang Wanan Polytron Technologies Inc, Model: VIEABS-II,ABSSystem manufacturer2: WABCO, Model:4460043200.